Beautiful scenery and water fun all around! From a secluded sandy beach reachable only by boat or a hike to a buzzing rocky or pebbly town beach such as Dražica in Krk with numerous activities available and plenty of shade, pick just the right spot for your family and have a fabulous beach time. Let also swimming pools with exciting slides be an endless source of fun for your children while you lounge nearby. Join in the fun with animation teams! Let your children take part in mini clubs and sports competitions, creative workshops, educational and amusing activities. Get your share of animation with a good workout, parties and theme nights particularly those celebrating Krk tradition, cuisine and wines. Cycle and explore all together! Take your family on a trip of discovery along numerous cycling trails on the island of Krk, admire diverse scenery and share moments to remember. Snorkel and dive to see what’s beneath the surface. Hop in a canoe and explore the coast. Do water sports and try wakeboarding in Punat for an adrenaline rush. Let every member of the family find their thrill on Krk! Take a walk … on the sea bed! The Underwater Park in Punat gives your family a chance to appreciate the underwater world up close and share an exciting experience to remember. Get to know the fascinating life of the Adriatic Sea! Take your family to Baška Aquarium or Aquarium Terrarium in Krk, where you can also visit the Tropical Aquarium. Here we gooooo! Start with the zipline on Dražica beach in Krk leading from one side of the cove to the other. Then take your family on an adrenaline adventure in search for the ultimate views of the southern part of the island with Edison zipline. Watch your historical books come to life! Get to know what life once was like on the island with Lovrečeva, the famous Krk fair in August celebrating food, culture and customs. Similarly, mid July you can step into the world of ancient Romans with Days of Antiquity near Omišalj. Follow the traces of the Frankopans, a once mighty Croatian noble family! Explore the Frankopan castle in Krk and let your children’s imagination take them to medieval times. The Frankopans were also benefactors of the Franciscan monastery on the peaceful island of Košljun, an excellent destination for a day trip. Let Krk island work its magic! Visit the extraordinary Biserujka cave, sail around the island and possibly catch a sight of dolphins, go on a Glagolitic trail all over the island. All aboard for a great family holiday! 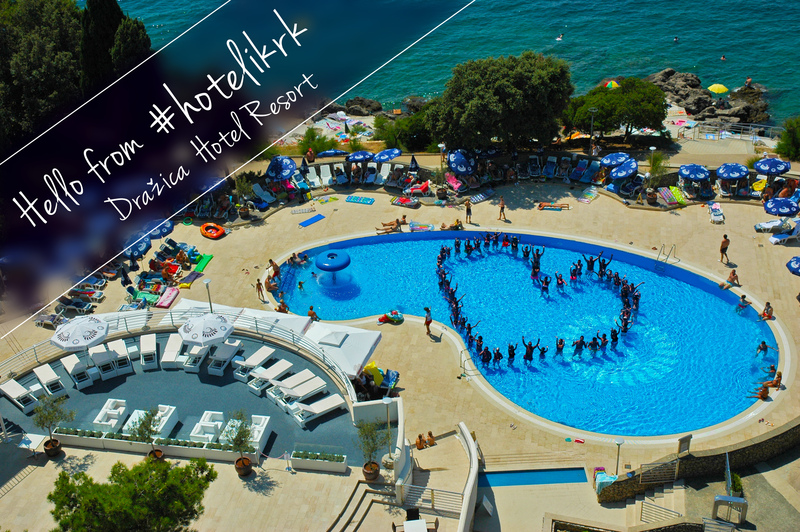 Your destination for an amazing family holiday: Krk island! So, treat your family to exciting unforgettable moments on the island of Krk!